A dinner date is the norm for meeting your Sugar Baby or Sugar Daddy. If a couple wants to do something different at a given night they’d probably consider trying a new restaurant but the timing would still be the same. It is time we change that. The next time you meet a Sugar Daddy or Sugar Baby for a date, we say you meet them at brunch. Dinner dates are too much of commitment, especially on first dates. Alternatively, you could grab a coffee with your Sugar Baby but that would not give you two much time to sit and talk and if you’re thinking about going to a bar on a first date, we all know most of us are not able to make a good impression after a bottle of booze. Brunch is thus the middle ground, it is casual and has a carefree vibe, helping you calm those nerves. Unlike dinner, which is a five or even six-course meal at times, brunch is a single course activity which gives you time for activities. You and your Sugar Baby have got the whole day ahead of you take her on a cruise or go on adventures together. If you are enjoying each other’s company and do not want to leave the table early, you could do that too by staying after brunch for a latte. Brunch provides you with an environment different than before. Until now you’ve gone to the same bars and restaurants, with each of them having more or less the same ambiance at night. You discuss about your week and ask about hers, probably a thing or two about your upcoming plans. A change in the environment triggers a change of topics of discussion too. You both know you have a lot of time on your hands to ditch the regular stuff and get to know each other better. Although you could still ask for a drink on a brunch, you’d not be drinking as excessively as you would be at any given night. This makes you and your Sugar Daddy more clear-headed and once you’ve been on a brunch you’ll know how that helps in bringing up things you had never discussed before on a date. 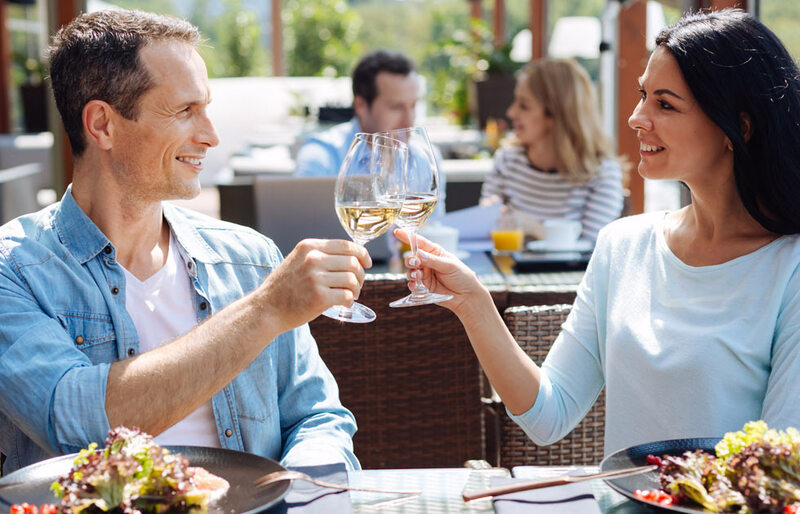 On a typical date, when a Sugar Daddy or Sugar Baby get home from work and head straight to dinner, they would need a glass or two of wine to simmer down the stresses of work. On the other hand, on a brunch you’ve just woken up, you’re fresh and in good shape. There is no pressure or anxiety of work. If a Sugar Baby and Sugar Daddy have a planned weekend getaway, brunch is the perfect way to get it started!